Whenever you’ve suffered a building flood or fire disaster in Santa Monica, California you need prompt and professional disaster restoration services. A handyman or general contractor simply doesn’t have the necessary expertise. Restoration Masters has well-trained restoration technicians certified in the many aspects of water damage restoration, mold remediation, fire damage restoration, smoke and odor removal, storm damage removal, and leak detection. You have more than enough on your mind during this stressful time, so let us take care of all of your cleanup, repair, and restoration needs. We’re ready with fast emergency services 24/7. Water damage removal and fire restoration treatments are technically challenging, and improper or delayed action will only make matters worse. Furthermore, insurance companies are likely to decline payment for expenses that could have been avoided by bringing in experts right away. Such secondary damage also delays the time it takes to restore your home or place of business to pre-loss condition. So it’s clearly in your best interest to immediately call in specialist services. We have experienced experts with CRC and IICRC certifications in every aspect of restoration you might need for the building as well as its contents, residential as well as commercial properties. And we back them with the latest in specialized equipment. We’re a local family owned and operated business, providing personalized services and a 100% satisfaction guarantee. And of course we’re fully licensed and insured. 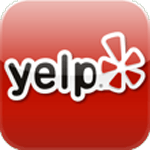 Our decades of experience and dozens of 5-star reviews demonstrate our dedication to technical excellence and great client experiences in flood damage restoration and so much more. We work with all insurance companies and are thoroughly familiar with the documentation and mitigation requirements of the leading insurers and have worked with many of their local adjusters and agents in the Santa Monica area. We’ll bill them directly and shepard your filing for a quick hassle-free claim. That’s a big load (and worry) you won’t have to deal with. The first 24 to 48 hours are a critical window for taking action to prevent mold, wood and drywall deterioration, and other problems that may remain hidden from view. That’s why we have staff to take your call live 24 hours a day, and technicians on call around the clock. We’ll be at your Santa Monica location within an hour for a free estimate and can begin restoring your peace of mind immediately. Water damage repairs are one the most common insurance claims throughout the country. Water quickly soaks deeply into just about everything to where drying under fans and natural conditions can take a couple of weeks, or more. Yet is as little as a day you could be facing mold, crumbling drywall, buckling floors, warping and splitting wood, and so on. Carpet cleaners and wet-vac rentals simply can’t reach moisture lingering deep inside wood and other porous materials. But every last bit of excess moisture must be removed before it has a chance to do harm. We work quickly, efficiently, and effectively to thoroughly dry out carpet and the underlying sub-floor and remove dampness that has wicked up inside walls. We begin our water damage removal with powerful state-of-the art water extraction gear and then use a combination of refrigerant dehumidifiers and specialized spot heaters until our testing shows humidity and moisture are down to safe levels. That’s a matter of a few days, and often twice as fast as with competing equipment and methods. Our crews of carpenters and other craftspeople can then complete water damage repair, from replacing carpet to reconstruction. We can also neutralize any lingering odors. Flood damage repair whether caused by natural flooding, sewage backup, or a burst water heater requires special worker protection and expert sanitization as any water that’s been around for a while is likely teeming with bacteria, viruses, and fungus. Our certified flood damage restoration experts are fully qualified for rapid pump outs, decontamination, and mud removal as well as for professional water damage removal and mold removal. Whether the blaze was large or small, you need professional fire damage repair to deal with the surprisingly complex treatments. Our experts first deal with structural integrity and securing the building before moving on to restoring the building and its contents. As a full-service company Restoration Masters can then continue on with fire damage repair, water damage repair, and so on. We’ll handle the full cleanup effort, including haul away and proper disposal. Properly handling smoke and odor is one of the most technically challenging aspects of fire damage restoration due to the many combinations of types of smoke and materials affected. Plus, smoke travels an amazing distance and into some of the most surprising locations. Prompt action is imperative as the many toxic and corrosive compounds in smoke and soot quickly soak deeply into porous materials to where they can no longer be removed. That’s the reason for lingering smoke odors. Common cleaning methods are usually ineffective, and may actually force smoke compounds in deeper. Whether for building surfaces, furniture, or other possessions we’ll take the right steps right away. We’ll also use special equipment to neutralize odors throughout the building, wherever they may be hiding. In a mild humid climate such as Santa Monica’s any source of water, no matter how small, is likely to lead to mold That could be a roof or other leak, a plumbing problem, part of flood damage removal, or simply poor ventilation. Growing without light, your mold problem can remain hidden with walls or under carpet. But make no mistake, it’s a serious issue. This particular type of fungus releases allergens, and many species also release toxins that can cause very serious health issues. 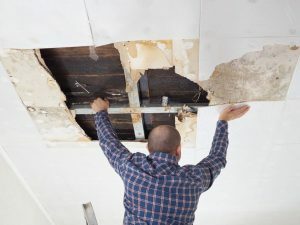 Besides exposing you and your family to these risks, delayed action often leads to the need to replace large areas of sheetrock and other porous materials. TIP: Keep in mind that most Santa Monica homeowners policies provide limited or no mold remediation coverage unless the cause was sudden, such as a broken pipe, or part of flood damage repair or some other emergency. So be sure and be on the lookout for excess moisture and water where it shouldn’t be. Our mold removal work begins with extensive actions to isolate the work area — otherwise disturbed mold will spread it’s spores (“seeds”) and contamination throughout the building. We’ll then do the actual mold removal, choosing the best combination of equipment, tools, methods, and non-toxic chemical treatments. Restoration Masters can follow up with deodorization to rid you of any remaining musty odors. 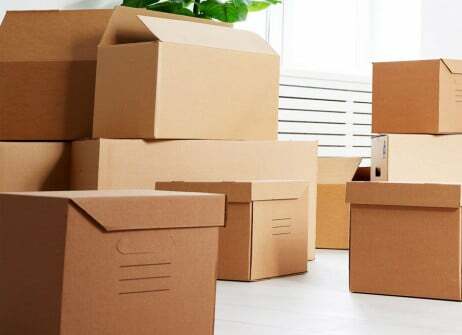 Whether part of fire damage restoration or other disaster recovery, pack out removes your furniture and possessions from a harmful environment and allows us to treat and then store them in our secure facility. This is not a job for a regular moving company, as improper handling frequently leads to further harm. And since it was avoidable that won’t be covered by insurance. 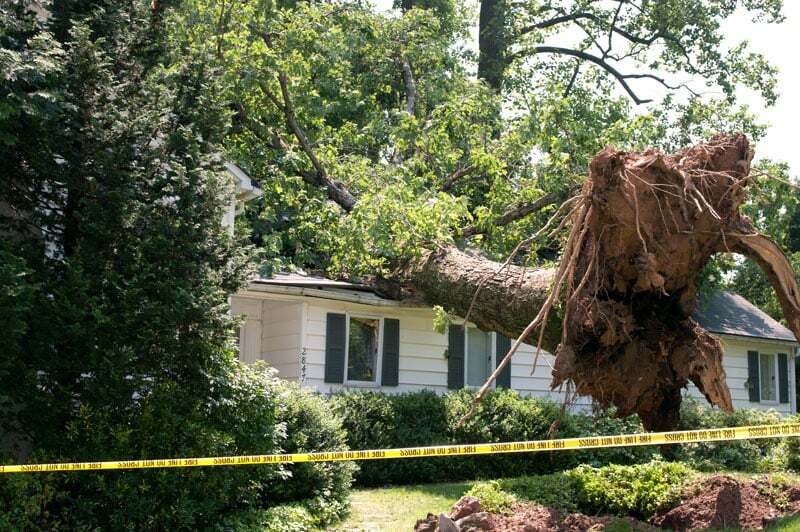 With Southern California’s frequent storms, we’re often called upon for storm damage restoration. That can range from debris cleanup to tarping, replacing windows, and even reconstructing a roof and walls. We’re ready for it all, including all-important professional water damage restoration to minimize further destruction. You don’t have to experience flooding to end up needing water damage repair and/or mold restoration. Problems such as a small leak within a wall or a slab leak under a concrete floor will slowly but surely lead to harm. Our leak detection experts have the latest electronic instruments as well as their years of experience to find the exact location without any harm to your walls, floors, or landscaping. Although the City of Santa Monica has roughly the same humidity as the U.S. average and receives about half the rainfall, we still have our weather extremes. Www.usa.com reports that over roughly the last 60 years there have been 165 incidents of flooding, 25 of hail, and 68 of thunderstorm winds as well 50 wildfires within 50 miles of the city. In the 2015/16 El Nino season Santa Monica was under a severe thunderstorm watch with the potential for flash flooding and even a small tornado (http://ktla.com/2016/01/31/strong-storm-moving-into-socal-could-bring-heavy-rain-snow-flooding-forecasters/). And a powerful storm knocked out power at LAX in March of 2016 (http://www.latimes.com/local/lanow/la-thunder-and-lightning-severe-weather-hits-southern-california-20160307-htmlstory.html).